UIW was founded by the Sisters of Charity of the Incarnate Word, who came to San Antonio in 1869 to assist with treating a cholera outbreak. 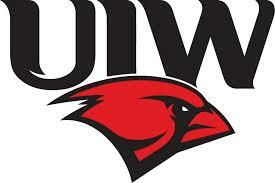 The institution began as the Incarnate Word School in 1881 and was originally chartered as a college for women. In 1900, the Academy of the Incarnate Word, which had been established first in an area of San Antonio called Government Hill, was moved to the Motherhouse of the Sisters of Charity of the Incarnate Word in Alamo Heights. College classes were added to the curriculum in 1909, and the name of the institution was changed to the College and Academy of the Incarnate Word. Both the College and the High School were affiliated with the Texas State Department of Education in 1918. The college was fully accredited by the Association of College and Secondary Schools in 1925. The graduate division was added in 1950, and the school became co-educational in 1970. In 1996, it was recognized as a university.